Lisa Marker (left), a resident of Belgium who is now in the Philippines visiting, together with her mother, Mrs. Marilyn Reyes-Marker (second to the right), who resides in Denmark, visited St. Francis of Assisi School last December 21, 2012. Lisa shared her passion for photography as she captured the beautiful faces of the children in all levels as each class was having a Christmas party. Click this link to see her photos: The Happy Faces of SFAS Kids. 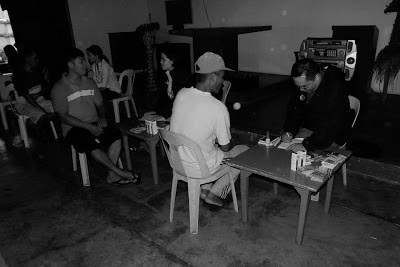 They also attended the Tapulanga Foundation's Christmas party for the 5th - 8th graders held the next day at McDonald's and Lopue's East. You can view her photos also at TF's fan page. (TF Scholars' Christmas Party (by Lisa Marker)). In photo as well is Ms. Margie Ledesma-Abello (right), the daughter of the Ledesma owners of the school, and mother of Micmic and Robin Abello, founders of Tapulanga Foundation and JR Abello, Vice Principal and teacher in SFAS. Thank you Lisa for the wonderful pictures of our kids! 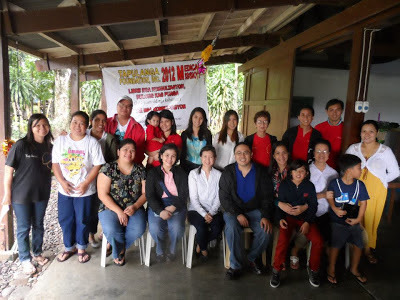 Tapulanga Foundation, Inc. held its annual Medical Mission despite of the typhoon last December 26, 2012 at Our Lady of Nativity Chapel, Hda.Tinihaban, Silay City. It was attended by adults ages 40-50 and kids ages 0-12. 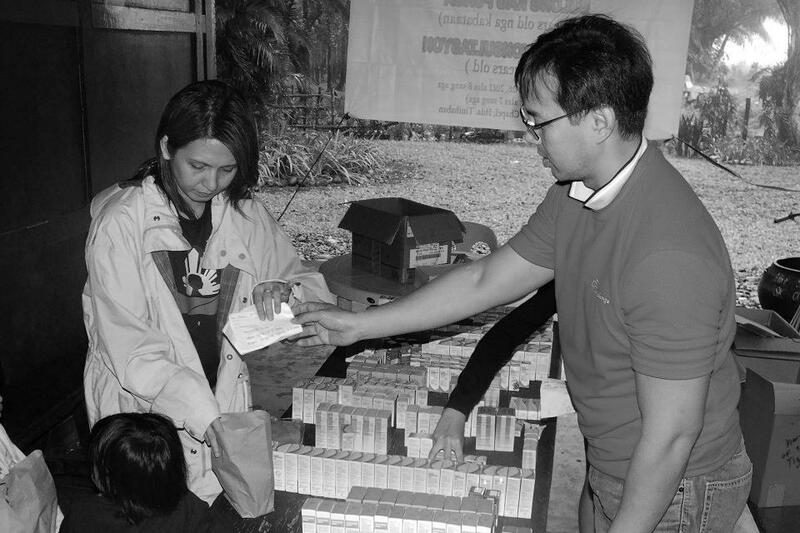 Free consultation and medicines were provided for to all plus deworming for ages 2 to 10. 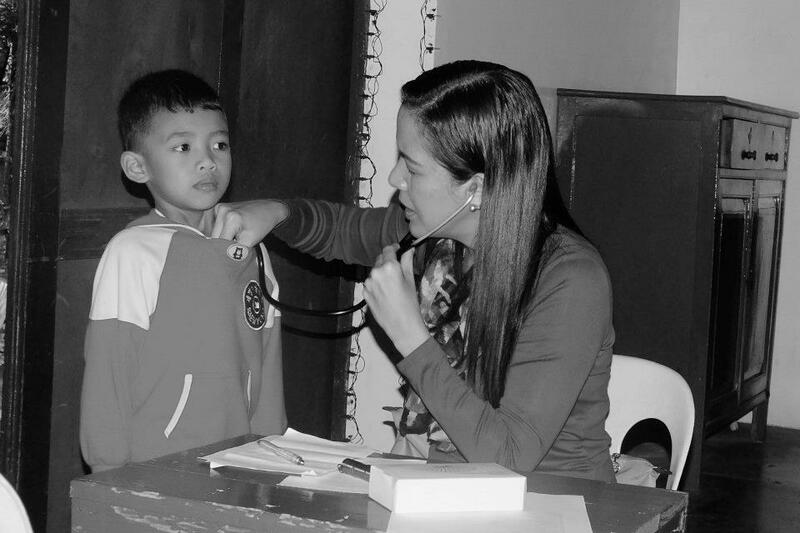 The medical team this year was composed not only of our Vice President, Dra. 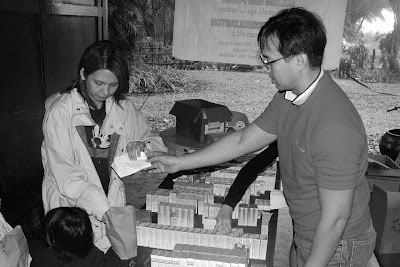 Jo-an Ledesma-Millonado who does the yearly check-ups to the children but we had other volunteer doctors: Dr. Fritz Gerard Flores, an orthopedic, Dra. Monace Sandalo, an anesthesiologist, Dra. Michelle Flores, an OB gynecologist and Dra. 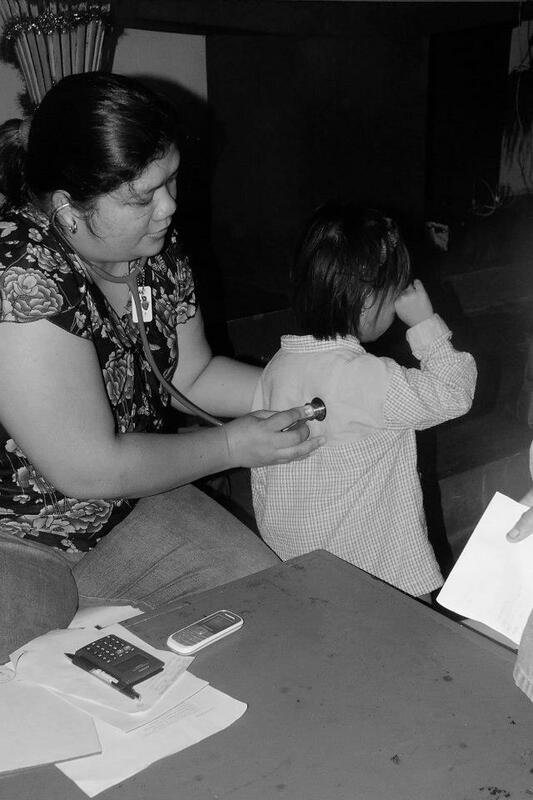 Regina Tan- Buenaflor, a pediatrician. 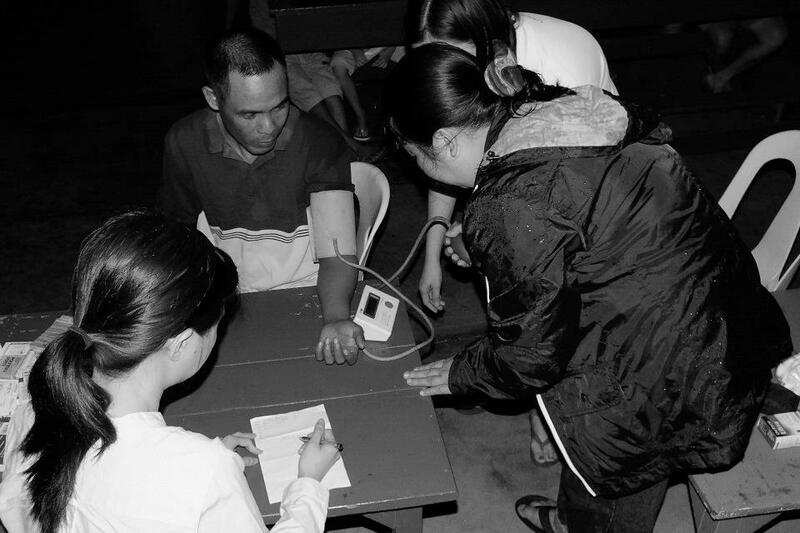 Mrs. Marissa Guadalupe, the school's nurse volunteered as well as she took the blood pressure and administered blood sugar test to the adults. 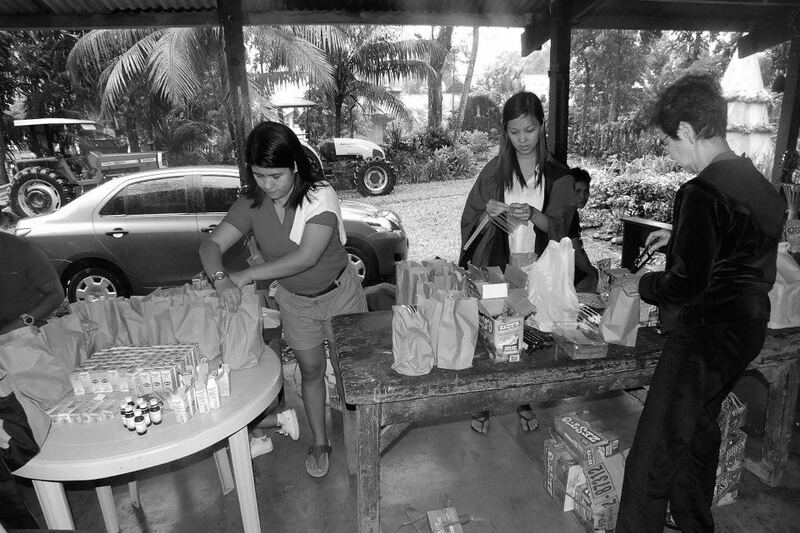 Likewise, 3 generations of the Ledesma family joined the mission by administering the deworming medicine to the children and giving out the medicines and loot bags.